How quickly would your business recover from a fire? Approximately 80% of businesses that have to close due to fire damage never re-open again. It is essential that premises are protected with a reliable and effective fire alarm system. 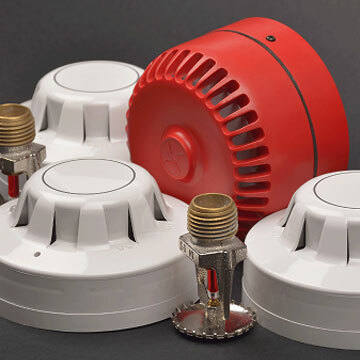 Pegasus Fire and Security are a division of Fifteen Group Limited who design, supply, install and commission a wide range of fire alarm systems from a team of highly qualified experts. Our dedicated team are here to install and support your fire alarm system. Whatever the sector and whatever the risk, Pegasus Fire and Security has a fire alarm system that will provide the most protection. Together with our Intruder Alarms and CCTV Systems, we provide the complete security system for every business. Have emergency lighting for an emergency situation. 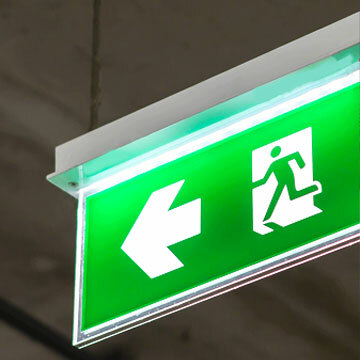 When the mains power supply is cut, emergency lighting will automatically come on, ensuring a safe evacuation of personnel.